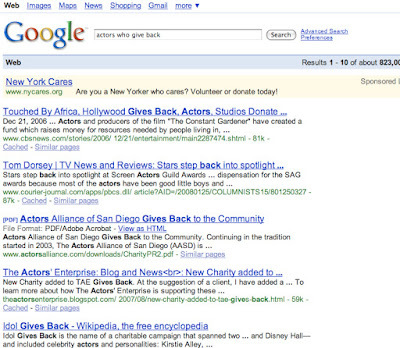 Someone found this TAE blog by typing "actors who give back" into Google. Not only does TAE come up 4th in a search that yield 823,000 hits, but I am responsible for the #3 entry as well, when I was the Communications and Member Services Director at the Actors Alliance of San Diego. I developed a charity night at our annual Festival in which a percentage of our revenues for 2 evenings of theater would go to a selected charity. I also created/produced nearly a dozen other charitable events and partnerships while at AASD. 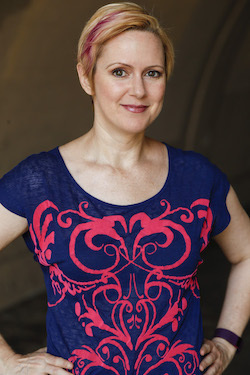 I am very, very proud, and humbled that little ol' me might be making a difference, somehow.